We’d love your help. 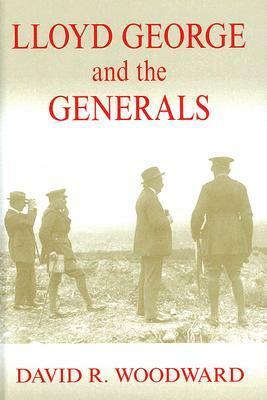 Let us know what’s wrong with this preview of Lloyd George and the Generals by David R. Woodward. The frustrating stalemate on the western front with its unprecedented casualties provoked a furious debate in London between the civil and military authorities over the best way to defeat Germany. The passions aroused continued to the present day. The mercurial and dynamic David Lloyd George stood at the centre of this controversy throughout the war. His intervention in mi The frustrating stalemate on the western front with its unprecedented casualties provoked a furious debate in London between the civil and military authorities over the best way to defeat Germany. The passions aroused continued to the present day. The mercurial and dynamic David Lloyd George stood at the centre of this controversy throughout the war. His intervention in military questions and determination to redirect strategy put him at odds with the leading soldiers and admirals of his day. 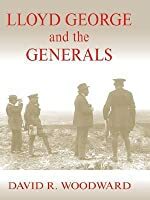 To ask other readers questions about Lloyd George and the Generals, please sign up.